It was a Thanksgiving showdown for control of the NFL Eastern Conference as the Dallas Cowboys hosted the Cleveland Browns on November 24, 1966. The Cowboys, meticulously guided by Head Coach Tom Landry since the franchise’s creation in 1960, had a 7-2-1 record and were on the way to their first winning season, with the possibility of also topping the conference. QB Don Meredith (pictured at right) was often maligned but coming into his own and HB Dan Reeves had proven to be effective in tandem with FB Don Perkins. 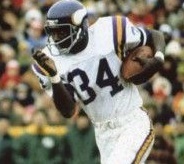 Split end Bob Hayes provided speed on the outside, adding to the explosiveness of the offense. The defense was tough and aggressive, especially on the line anchored by DT Bob Lilly and at linebacker, with Chuck Howley and Dave Edwards on the outside and Lee Roy Jordan in the middle. 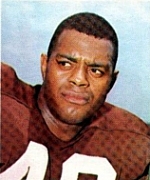 Cleveland, at 7-3 under Head Coach Blanton Collier, had topped the Eastern Conference in each of the previous two seasons and won a NFL title in ’64. While the Browns lost star FB Jim Brown to retirement, HB Leroy Kelly had proven to be a more-than-capable replacement and combined effectively with FB Ernie Green. QB Frank Ryan remained a good field general and had fine receivers in flanker Gary Collins and split end Paul Warfield. The Browns had won the previous meeting between the teams in Cleveland but the defense was injury-depleted. There was a record crowd of 75,504 fans in attendance at the Cotton Bowl. Dallas got the first scoring opportunity following a 38-yard punt return by FS Mel Renfro to the Cleveland 20. But while the Cowboys advanced inside the ten yard line, they had to settle for an 11-yard Danny Villanueva field goal. Dallas again had the ball in excellent field position shortly thereafter when Leroy Kelly fumbled and Bob Lilly recovered at the Cleveland 24. Once again the home team had to settle for three points, however, and Villanueva again connected, this time from 31 yards. As the game headed into the second quarter, Cleveland had a shot at getting on the board, but Lou Groza missed wide on a 28-yard field goal attempt. On their next series, the Browns drove 81 yards, and this time didn’t come up empty. Frank Ryan threw to Gary Collins for 21 yards to the Dallas one and from there Kelly plunged into the end zone for a touchdown. Groza’s extra point put Cleveland ahead by 7-6. The Cowboys put together an 87-yard advance that featured Don Meredith completing passes of 12 yards to Don Perkins, 17 to Dan Reeves, and 14 yards to TE Frank Clarke. Meredith completed the series by throwing a swing pass to Reeves for a six-yard TD on a third down play and, with Villanueva’s point after, the home team was back in front by 13-7. Cleveland responded with an eight-play, 76-yard series that was helped along by a pass interference penalty on CB Warren Livingston. 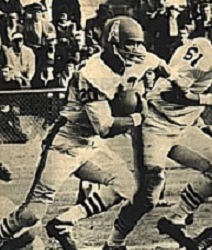 Ryan lobbed a pass to Ernie Green (pictured at left), who easily outran LB Chuck Howley for a 16-yard touchdown. Groza converted and, with 1:07 remaining in the first half, the visitors were ahead by 14-13. In the third quarter, the Cowboys moved into scoring position thanks to a long pass interference penalty on CB Mike Howell at the Cleveland 21. Meredith picked up a first down on a 10-yard carry to the nine, but the Browns held and Dallas again turned to Villanueva, who was successful on a 12-yard field goal that put the Cowboys back in front by 16-14. The Browns failed to put points on the board when Groza’s woes continued as he was again wide on a field goal attempt, this time from 31 yards. The Cowboys again drove into Cleveland territory and once more had to call on Villanueva, who was good on a 13-yard field goal that made the score 19-14 with seven seconds remaining in the period. The Dallas lead was a tenuous 19-14 as the game headed into the fourth quarter, and the Browns were once again in scoring position. But in a pivotal turn of events, a 20-yard field goal attempt by Groza was blocked by SS Mike Gaechter and the Cowboys proceeded to drive 72 yards in 13 plays. 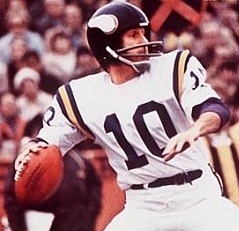 The home team converted three third downs along the way as Meredith connected with Bob Hayes for 19 yards in a third-and-15 situation, ran for five yards on third-and-three, and passed to Reeves for seven yards when facing third-and-four at the Cleveland 16. 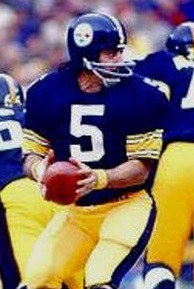 The series ended with Don Perkins running 10 yards for a touchdown. Villanueva converted and, for all intents, sealed the 26-14 Dallas win. The Browns had the edge in total yards (321 to 304) although Dallas had more first downs (25 to 18). Cleveland suffered the game’s only turnover and the Cowboys, who were aggressive in their pass rushing, recorded five sacks, to none by the visitors. A key factor was the kicking game as Danny Villanueva was perfect on four field goal attempts while Lou Groza failed three times (at age 42, there was speculation that Groza was at the end of his Hall of Fame career, but he did come back for one final season in 1967). 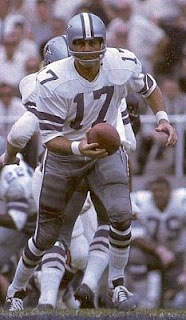 Don Meredith completed 16 of 24 passes for 131 yards and a touchdown while giving up no interceptions. Don Perkins (pictured at right) ran for 111 yards on 23 carries that included the game-clinching TD and Dan Reeves contributed 49 yards on 14 attempts as well as four catches for 32 yards and a score. 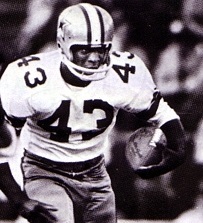 Bob Hayes led the Dallas receivers with 6 catches for 54 yards. For the Browns, Frank Ryan, who was constantly pressured by the Dallas pass rush, was successful on 12 of 26 throws for 190 yards and a TD and with none intercepted. Leroy Kelly gained 115 yards on 15 rushing attempts that included a touchdown and Ernie Green gained 24 yards on 8 attempts and also scored on his lone pass reception. 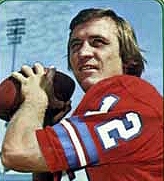 Gary Collins had 5 pass receptions for 92 yards to top the club. The win gave the Cowboys the upper hand in the Eastern Conference race and they ended up first with a 10-3-1 record, losing a closely-fought NFL Championship game to the Green Bay Packers. Cleveland finished in a tie for second with Philadelphia at 9-5. As a footnote, the arrival of Dallas as a playoff contender would prove to be lasting as the Cowboys went to the postseason in each of the next seven seasons and 18 of 20 between 1966 and ’85. 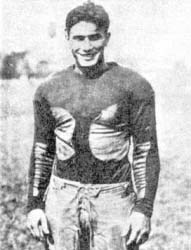 Friedman established himself as an outstanding passer in college and was a consensus first-team All-American in 1925 and ’26. Turning pro, he proved to be extremely accurate, if not possessed of an exceptionally strong arm, and was innovative in his willingness to pass on any down despite the less-streamlined ball in use at the time and rules that discouraged reliance on throwing the ball. Friedman was also a capable runner and fair kicker. Bulldogs went 8-4-1 to finish fourth in the NFL while leading the league in touchdowns (30) and scoring (209 points). 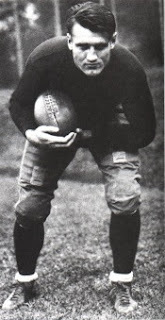 Friedman moved on to the Detroit Panthers in 1928 and again led the NFL with 9 TD passes as well as rushing touchdowns (6, tied with two others). The franchise was bought out by Tim Mara of the Giants and Friedman went to New York and continued to lead the league in touchdown passes for the next two years, including a remarkable 20 in 1929 (the runner-up threw 6). 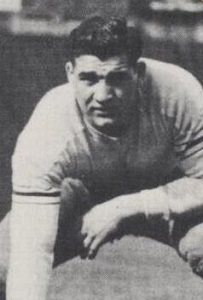 Friedman received consensus first team All-NFL honors in each of his first four NFL seasons, but a leg injury reduced his effectiveness in 1931 and he moved on to the Brooklyn Dodgers in ’32. He finished up with one game for the Dodgers in 1934, having already moved into assistant coaching at the college level that reduced his playing time. 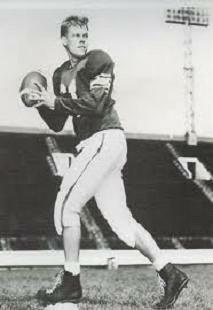 While passing statistics are incomplete for that era, Friedman was certainly far ahead of the rest of the field in passing yards (7650) and TD passes (68), and his single-season record of 20 lasted until 1942. Friedman went on to become a college head coach at City College of New York and Brandeis University, where he also served as athletic director. His brashness might have been off-putting, but he was a keen student of the game and one of its early innovators and notable performers. Friedman was inducted into the Pro Football Hall of Fame, Class of 2005. 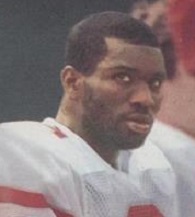 Brown played two seasons at Kansas State after transferring from Dodge City Junior College and had an undistinguished career, rushing for 684 yards and catching 13 passes. 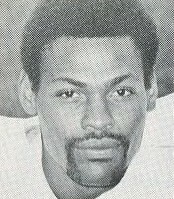 An eighth round pick by the Redskins in the 1969 NFL draft, Brown led the team in rushing as a rookie with 888 yards on 202 carries (4.4 avg.) and caught 34 passes for another 302 yards. He was selected to the Pro Bowl. Redskins went 6-8 to finish fourth in the NFC East. 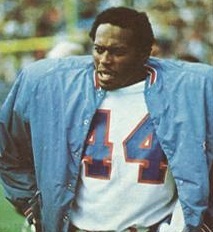 Brown’s production dropped off to 948 yards in 1971 as defenses keyed on him, but he was selected to a third Pro Bowl and received consensus first-team All-NFC recognition. 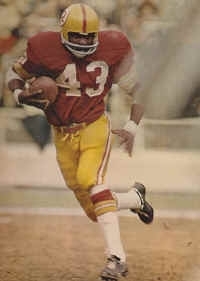 He was the consensus league MVP in ’72 as he led the NFC in rushing with 1216 yards and the Redskins reached the Super Bowl. Brown ran for 860 yards and caught 40 passes in 1973, but the workhorse runner began to show signs of wear in ’74 and totaled just 838 yards over the last three seasons of a career spent entirely with Washington that ended in 1976. Overall, he rushed for 5875 yards on 1530 attempts (3.8 avg.) and caught 238 passes for 2485 yards (10.4 avg.) while scoring a total of 55 touchdowns. 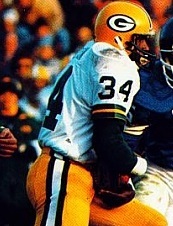 Brown was a consensus first-team All-NFL selection twice, received first-team All-NFC honors after one other season, and was selected to four Pro Bowls.